Nashville Lyft Accident Lawyer | Raybin & Weissman, P.C. Navigating the waters of a collision with a rideshare service like Lyft can be far more complicated than you may be prepared to deal with on your own. Get help pursuing your claim with the assistance of a Lyft accident lawyer in Nashville. The legalities of an accident involving Lyft are different from those of a run-of-the-mill auto collision in Nashville because Lyft and their affiliated driver both carry auto insurance. The circumstances of the accident you were involved in will largely determine which auto insurer should be compelled to provide the compensation you need to recover from your injuries and the damage they’ve inflicted on your life. Below, we discuss the terms under which Lyft will cover your losses, and when you’ll have to bring a claim against your Lyft driver. 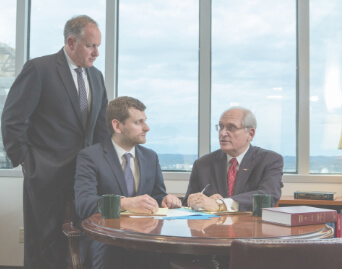 Your Nashville Lyft accident lawyer at Raybin & Weissman, P.C. will be ready to file a claim wherever is necessary so you can be fully repaid for your accident damages. Under What Conditions Is Lyft Liable? Lyft coverage is broken up into what are referred to as periods. A Lyft driver who is not in driver mode will not be covered by Lyft insurance, and neither will anyone who is injured in an accident with them. Period 1 is when the Lyft driver is waiting to be matched with a passenger but has yet to accept a ride. During this time, contingent liability coverage applies, with maximum limits of $50,000 per person, $100,000 per accident, and $25,000 for property damages. The moment that a Lyft driver accepts a passenger and the moment they drop them off are known as Periods 2 and 3, respectively. During this time, Lyft provides liability coverage of $1,000,000, collision coverage, comprehensive coverage, and uninsured or underinsured motorist coverage. For nashville accidents involving Lyft vehicles during these times, you will need to file a claim through Lyft’s auto insurer to obtain compensation for the damages you sustained in the accident. For all other instances where you’re injured in a collision with a Lyft driver, you’ll need to file a claim with the Lyft driver’s personal insurance. If the Lyft driver finances or leases their car, they will more than likely be required to carry comprehensive and collision coverage on their insurance policies as well. When we file a claim with their insurer and the at-fault party is found to be culpable, the insurance company will be obligated to settle your claim up to the limits of the Lyft driver’s insurance policy, as purchased. We understand that the last thing you should be worrying about is dealing with large insurance companies who have seemingly endless resources. When you reach out to an experienced Nashville Lyft accident lawyer at Raybin & Weissman, P.C., these burdens will be taken off of your shoulders while we fight for the compensation you’re entitled to. For us to get started on your rideshare accident claim (including Nashville Uber wrecks and others), you’ll need to come in for a free consultation. This can be scheduled by giving our office a call at 615-256-6666 or by filling out the quick contact form we provided on this page.